In our infographic reviewing the applications of AI in marketing, we explore 15 different applications of Artificial Intelligence (AI) across the customer lifecycle from media buying to marketing automation and chatbots. It's around a year now since we developed this infographic, so it's interesting to know how widely used AI is, both by businesses and their agencies. In today's Chart of the Day, I'm sharing some research which helps show how AI is being used for marketing. 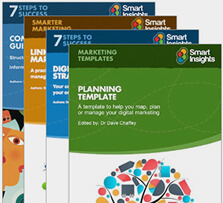 The sample is smaller than what I would usually look to share and it is skewed since it is a customer survey of Albert and AI tool for marketing, but with relatively few adopters of AI, this is inevitable and I thought the report below might be useful both for agencies and brands to learn about the 'Use Cases' of AI. 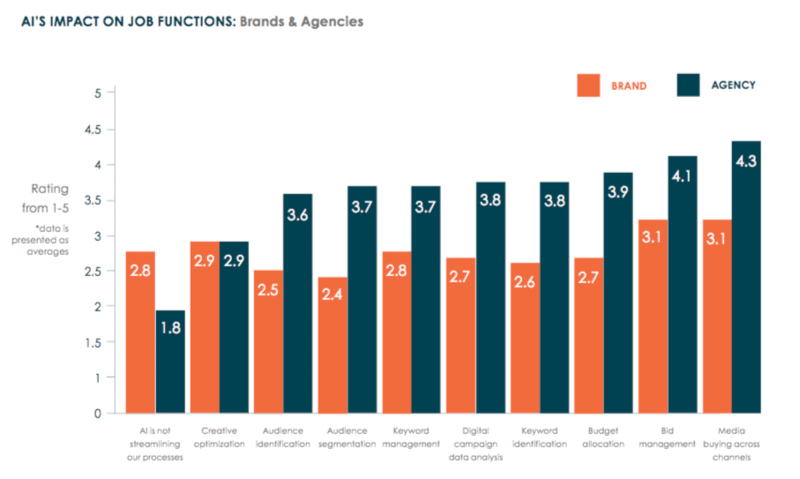 In this chart, you can see that amongst this sample there are a range of activities related to search marketing where agencies see AI as positive from strategy activities like audience segmentation, budget allocation and campaign analysis to more technical activities like creative optimisation and bid management. Within this sample, the agencies are more positive about the benefits of AI than the brands. This is potentially because the agencies will work across many client accounts, so will potentially see the efficiencies of AI more clearly. Sample: 52 respondents, including 17 agencies and 35 brand marketers. Slightly more than one-quarter of respondents came from the retail and apparel sector, while media and entertainment, travel and leisure, and consumer-packaged good made up seven percent each. The last 20 percent were drawn from the consumer technology, pharmaceuticals and healthcare, transportation, and “other” categories.